What if mainline Christianity had been open to spiritual healing? Have you ever wondered how things might be different today if the mainline Christian churches had not rejected Unity’s theology and practice of physical healing through prayer? Lets imagine that the religious establishment in the early 1930s had recognized how widespread the spiritual healing movement had become and that it had been willing to change. What would Unity look like today? And how would the mainline Christian churches be different? In broad terms, Unity would have remained tethered to the creeds and doctrines of the historic Christian church. In other words, Charles Fillmore would have enforced what he called the “Jesus Christ standard” throughout Unity. The standard that he enforced might have been a creative and irregular form of the historic doctrines, but the irregularity would have been tempored by his desire to see Unity recognized as an accepted member of the Body of Christ. The mainline churches would have been open to the innovation of “scientific” Christianity. In other words, they would have been willing to change their doctrines to align with the “testing of spirits.” Innovative theologies and practices, such as spiritual healing through prayer, would have been judged in the same manner as scientific discoveries. If it worked and it was discerned to be God-like then the authoritative teaching of the church would change. Of course, none of this happened. Forty years into Unity’s history, Unity and its practice of spiritual healing had been entirely rejected by mainline Christianity. Charles Fillmore, pressured by those who had been trained in spiritual healing, began the formal training and ordination of Unity ministers. A significant number of those ministers then walked away from the historic creeds and doctrines of mainline Christianity and embraced a more “universal” theology that embraced all world religions. But what it had not been so? How would Unity and mainline Christianity be different today? To find out, we must look for a time when the mainline Christian church was open to Unity's theology and practice of spiritual healing. It turns out that there was such a time. It was 1947 when Agnes Sanford wrote The Healing Light. Reading Agnes Sanford's classic book and learning some of her personal story provides a clear illustration of what Unity and mainline Christianity would have looked like if they had not parted ways in the 1930s. Unfortunately this credit to Unity was removed in the revised, 1972 edition of The Healing Light. By then Agnes Sanford had moved on from Unity. So, if you buy the book, be sure to buy the original edition, originally published in 1947. The revised edition has been “sanitized” to make it more acceptable to critics of Unity and critics of Agnes Sanford’s adaptation of Unity teachings. The Healing Light is under copyright and so I am not able to provide a PDF on TruthUnity. But you can click here to obtain one from another site. And you can click here to buy an inexpensive reprint of the 1947 edition. Metaphysical healing and Sacramental healing. Unity has “spiritualized” the two primary sacraments in Christianity—Spiritual Baptism and Spiritual Communion. But many have wished for a more tangible experience. Agnes Sanford found that deeply held painful memories were effectively cleansed through Confession. She then elaborates on how healing may be done by metaphysics as well as by the sacraments. This suggests that Unity would have adopted many or most of the Christian sacraments for healing, particularly the Catholic sacrament of extreme unction and exorcism and that they would have been not only spiritual in form. Parachurch organization. If any significant part of Christianity had been open to Unity’s theology and practice of spiritual healing then it is unlikely that the Fillmores would have ordained any ministers. In other words it would have become a parachurch organization, much like Bible societies. Agnes Sanford found herself working within several organizations that served the churches, but she herself was never ordained. This notion of Unity as a parachurch is also supported by the history of Religious Science, which found itself split over the establishment of churches. Balanced theology of transcendental God the Father and immanent Christ the Son. 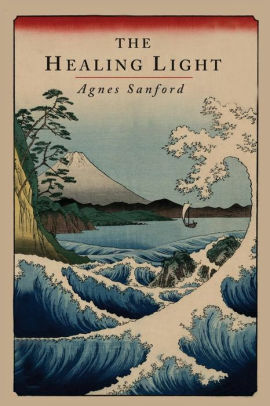 The Healing Light rapidly penetrated mainline Christianity because Agnes Sanford wrote about the power of the inner self to connect with God the Father, to receive his love and then to send forth that love in healing service to others. The god she connects with is transcendent. Unity has many references to “the Father within” but Unity has never been clear about a transcendent god. We find ourselves today speaking about “our divinity” and about oneness, but we do not have a clear formulation on who, what or where is “the Father” nor about how we connect with him. These ambiguities would not have lasted long if large numbers of mainline Christians had to reconcile Unity’s theology with the orthodox sense of a Trinity. How mainline Christianity would be different. Acceptance of Christian healing as a natural event within the Kingdom of God. That the historic Christian church finds itself unable to heal may be the greatest tragedy of its entire 2000 year history. The reforms of John Calvin and the dominance of Evangelical Christianity has formalized the idea that spiritual healing is no longer possible today and that those who try are guilty of cult-like activity. Furthermore, the liberal establishment in mainline seminaries have ridiculed Unity and other small Christian sects who have attempted to heal by prayer. It may be that the course of Christian history is about to shift from a Catholic and Evangelical era to a Metaphysical era—one in which spiritual healing is as commonplace as Sunday communion. If so, we will be grateful for how Unity had a pivotal role in the process. Practical Christianity. Christianity has always been a religion of faith and belief, not of practice or ritual. Unity describes itself as “practical” Christianity—which brings to the forefront the notion that practice is as important as belief. Further, the practice in Unity is about the transformation of self to align with a perfectly designed Christ nature, not a means of manipulating the external world. In short, we are about transformation, not confession. Agnes Sanford’s experience in healing prayer rested upon the notion that healing is a practice, not a belief. Mainline Christianity would have balanced belief with practice if it had been open to spiritual healing. Authority based on Wisdom, not accepted doctrine. Metaphysical religion has got a bad name today. Most in the mainline Christian church think metaphysics refers to New Age or occult practice. But the fact is that the culture which produced Jesus and his teachings was as much Greek (Platonic and Stoic) as it was Jewish. Unity is a distinct and authentic branch of the historic Christian church which has placed great emphasis on those platonic and stoic influences in it’s theology. That is why we teach metaphysics in Unity. What connects metaphysics with the biblical tradition of Judeo-Christianity is Wisdom. Wisdom teaching runs deep and wide through Christianity and it is especially prevalent in the Book of Proverbs, which is one of two Jewish scriptures that is commonly published in our New Testament editions. All this is to say that authority in Christianity has been for too long restricted to the “conventional wisdom” (lower case) passed along from one generation to the next. Conventional wisdom killed off the work of Agnes Sanford. Conventional wisdom ostracized Unity. Metaphysical Wisdom, the Wisdom of Truth that we find in Proverbs, in the parables of Jesus and in the platonic and stoic elements of our true Christian teachings will bring us into a new era of Metaphysical Christianity.